The proposed deveopment strategy for this village wants to dramatically challenge the mainstream paradigm of industrialisation. Instead of people migrating to far away industries concentrated in large estates close to urban agglomerations, the proposal envisions offering a small and intelligent micro-industrial cluster that is integrated with the whole life process of the village itself. Private entrepreneurs should be encouraged to participate in a strategic framework which consists of creating local incomes and demand supplemented by provision of goods to outside the immediate vincinity to both close-by towns and export markets. The income generated by this should further be used for the development of the villages themselves. The entrepreneurs should be chosen with care to complement each other and the village economy. This choice requires central coordination by an organisation created by this purpose with the participation of all the stakeholders. The whole strategy should be supported and augmented by a global community, interested in the success and reproduceability of this model. This includes a very different policy towards intellectual property where possible, the sharing of knowledge, inventions, designs between small and medium enterprises wordwide. (Open Source Based Development). With this base of increased income on one side and the habitual exchange of vital information by communication and IT, services like health, education, cultural information etc. can be added easily. For example, educational programs with remote teachers, the local interactive presentation by audiovisual media (Videobridging) could help overcome the lack of local educational institutions. The industrial area at Sonakhar has been virtually defunct ever since its establishment in 1992. The land acquired for this has benefitted no one, neither the villagers whose land was acquired, nor the state nor the economy of the nation. While there are many reasons for this, the fact remains that the industrial area has considerable potential if worked on and executed in an intelligent manner. RM RIICO and a few industrialists/entrepreneurs visited the site and realized that what was required was a properly integrated project. It was mutually decided to formulate a project based on the IIUS Scheme. 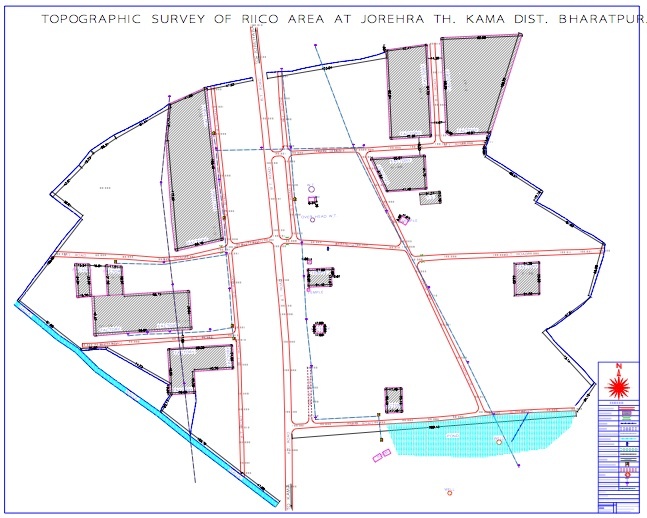 While the inspiration comes from the ILDP and Textile parks schemes of the Government of India it was realized that this would be a different case as many plots had already been allotted though they were not being utilized and being kept only for speculation and of the few being used most were not being used for the purpose of industrial production. It was therefore realized that the best way forward would be to, in the first instance, create a voluntary cluster and make it succeed. This would encourage the others to either join or to sell out to others who, encouraged by our success, would want to set up industry here. It was also realized that if this industrial area were to benefit the villages around it then it should be one which is essentially labour intensive(utilizing considerable uneducated local manpower also) with progressively greater use of machines as the locals got trained. Though in the beginning some labour would well have to be brought in from outside the essential aim should be to train the locals. As many plots had already been purchased/allotted the cluster would necessarily be a heterogeneous one. It would also be a voluntary one and may not be able to get all to join. Therefore it would start functioning when owners of at least 30% of the existing plotted area join it. The infrastructure would be created by the shareholders of an SPV (Special Purpose Vehicle) who would pay the industry contribution. When later members join they would pay additional proportionate amount as listed below and thus be a source of funds for further development and commercial activities. Ancillaries and process units necessary for the above including small metalworking and plastic working units. They pay their share of the investment. The units become functional within the agreed time frame. They are non polluting or if there is some possibility of pollution they are zero discharge units and, if necessary, they pay their share for any central ETP/STP. For this they will require to be certified by the Board of the SPV (see Para 10) in addition to any statutory pollution requirements. The responsibility of obtaining the statutory clearances will be that of the units themselves though assistance of the SPV will be available to them. In this manner the concept is to create “A MODEL OF DECENTRALISED INDUSTRIAL DEVELOPMENT “. The RM RIICO and the entrepreneurs promoting the idea were convinced that this would be a path breaker for the future industrial development of India with a human face. They were also determined to make this failed industrial area a successful one, one that would serve as a shining example of how industry can really benefit the Village, the State and the Nation. A sewage treatment plant. This will be so planned that subsequent development by the village of their STP must be catered for. Broadband facilities. This will be so planned that subsequent development by the village of their broadband requirements must be catered for. This will provide a source of revenue to the SPV. The area requirement for this would be about 30 sq m.
Centralised Transport Arrangements. Due to the dependence on towns and cities for raw materials and inputs a centralized transport both for goods and for even some manpower will be arranged. This will be primarily for industry in the area but will also be made available to others and will thus be a source of revenue for the SPV. Centralised security and access control. Training under ILDP/IRDP. Since it will be essential to train people in the leather trade units will be encouraged to set up training arrangements under ILDP/IRDP. Electricity Back up, Diesel/ Solar/Hybrid. We envisage a1 MW solar plant on the rooftops of industrial units. This would require a 33 KV sub station which could be set up in the Services Area. The requirement is 50 sq m. Alternatively it would need to be set up in one of the industrial plots. Centralised Solid Waste Disposal. The SPV will undertake solid waste disposal and would also set up a plant for producing electricity from biomass waste. Creche. It is planned to provide equal opportunities of employment to women of Sonakhar and nearby villages. For this it is planned to have a centralized crèche/playschool for small children. Medical Facilities. The SPV will arrange medical support to the cluster on payment of a contribution. This will also provide medical aid to the nearby villages. Support to Local Entrepreneurship. The locals of the villages will be encouraged to set up small supporting ancillaries such as welding shops, photocopying shops and progressively other more complex units.